Backlog…. I have a love/hate relationship with the back log. I love it for its perpetual source of content but it’s like a bottomless pit. I have dozens of meals from Europe, Melbourne and of course my home town, Sydney, that I have not gotten around to due to lack of time. I am only going to add more to it as I am sure a weekend trip to Berry, the South Coast, Canberra and the Southern Highlands will include food. Anyway, I may as well dig one out one from the ‘archives’, a memorable meal at Felix, which I had before Christmas last year! 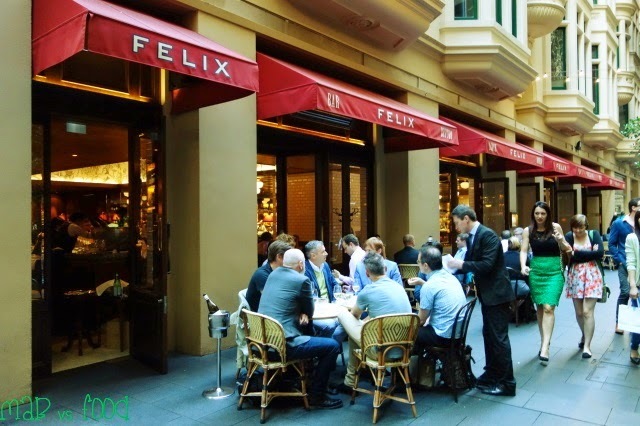 Located in the Ash Street laneway, Felix is Merivale’s take on everyone’s favourite French classic, the bistro. 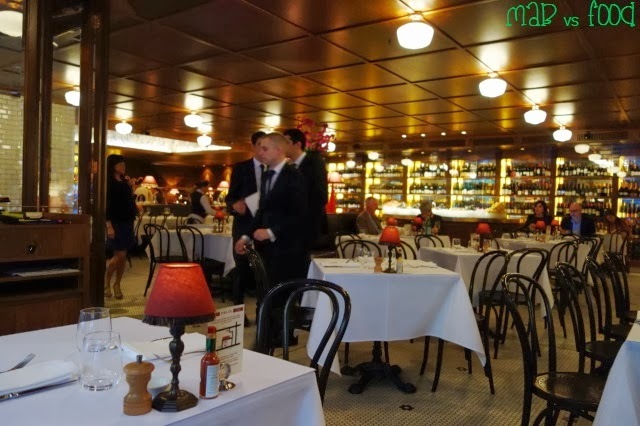 It is quite a faithful representation of the quintessential French brassierie, from the décor, to the waiters’ long-aprons and French accents. 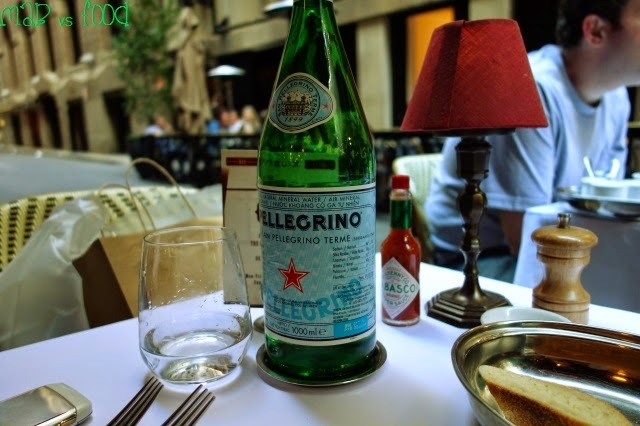 And just like in Paris, they have outside tables; which is where my wife and I were seated on the night. It might be a bit awkward facing directly onto the street, but these tables are really great for people watching! It was a Friday evening and early-December too, so we were able to see a lot of different outfits from Christmas parties at the Ivy. Great Gatsby and superhero themes seemed to be the most popular on the night. We went for the prix fixe menu (a cheaper set menu available only between 5.30pm and 6.30pm). The wait staff didn't give us the prix fixe menu when we were seated so you will probably have to ask them for it or risk missing out on the better pricing! You can go 2 courses for $45 or 3 courses for $55. I am never satisfied with 2 courses when I eat out, so we went for the 3 course option. 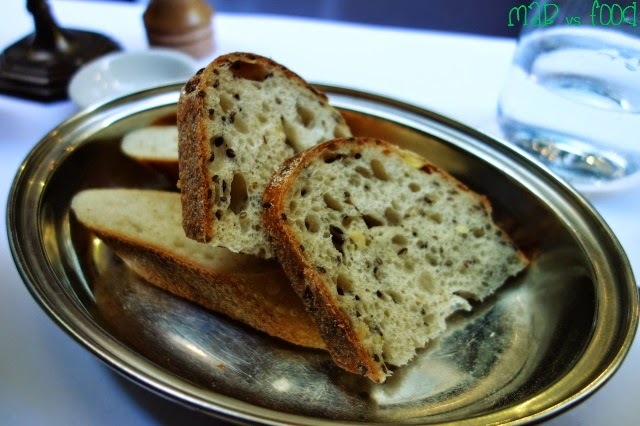 Like any other good French bistro, you get complimentary bread at Felix. The bread at all Merivale venues is from Sonoma, so you know it's going to be good. This one is soy and linseed, one of my favourites in the Sonoma range. 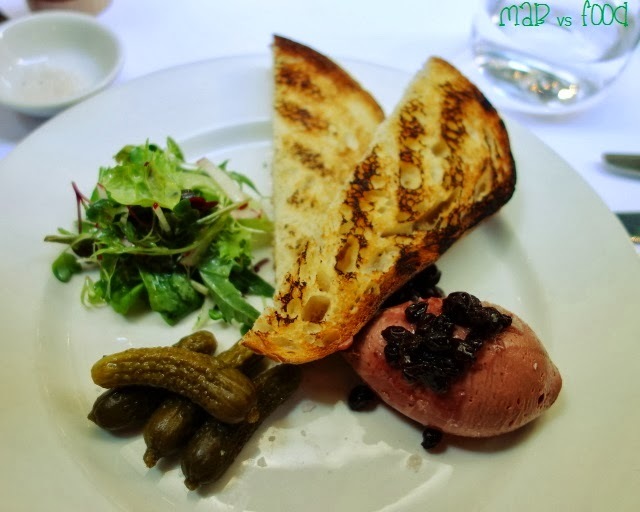 Ah Chicken liver pate... one of my all time favourite dishes at the French bistro. This one certainly delivers, so much so that I think this is one of the best pates I've had in Sydney. So smooth, so rich, so good! Perfect to spread on a crispy piece of grilled sourdough. Cornichons are an essential part of the experience to cut through the richness of the pate. My wife had the Gruyere souffle. 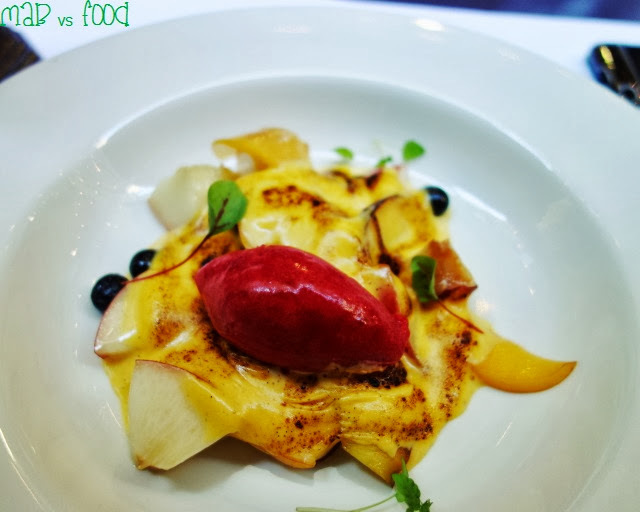 Felix's souffle is a great version of yet another French favourite. This one is not as rich as other souffles I've had - it was quite light and airy. 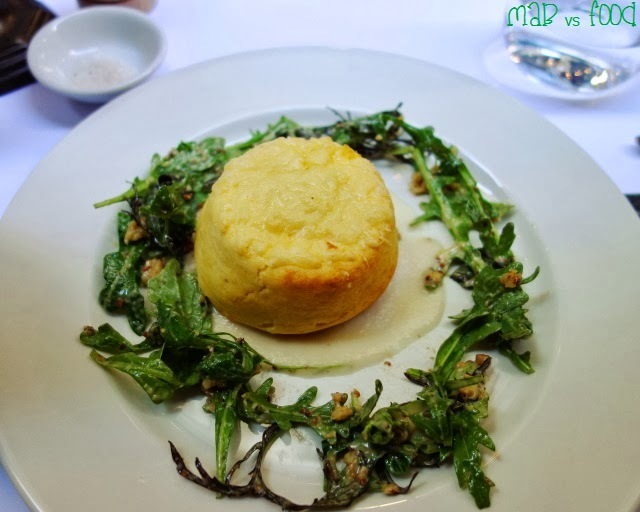 Gruyere is such a tasty cheese and the flavours really shine through in this souffle. I decided to have confit duck leg for my main. This was a hearty dish with enjoyable flavours. The duck meat was tasty and the meat was falling off the bone. The only problem was that it was a bit dry and not as juicy as I would have hoped. 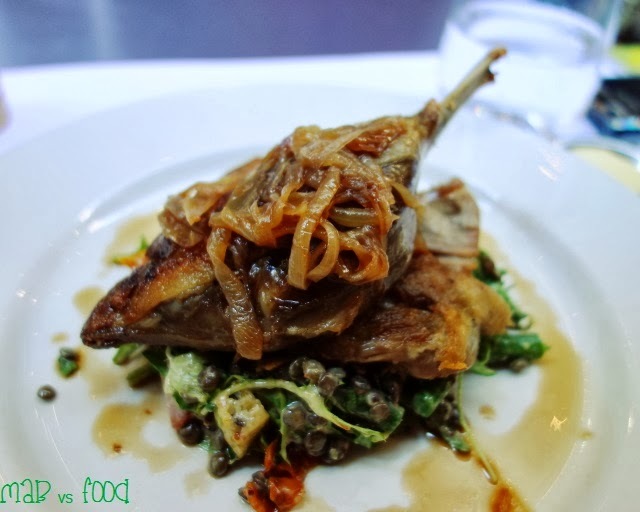 The lentil and green bean salad is a great classic pairing with the confit duck leg. My wife ordered the sole vegetarian dish on the prix fixe menu, the gnocchi. This was a rich, satisfying dish with flavour combinations that just complement each other. 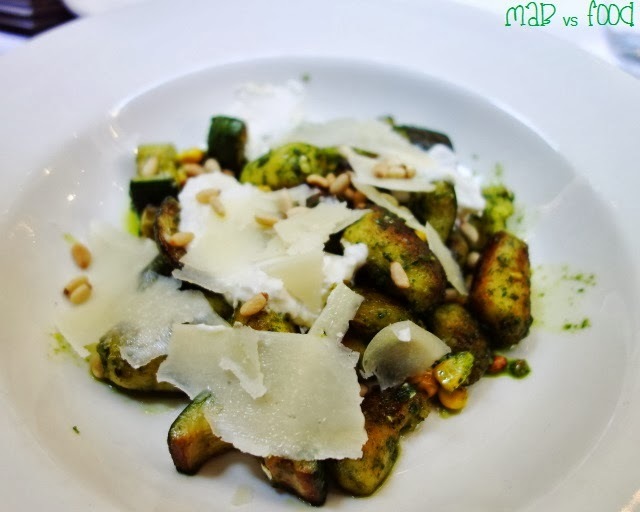 The pan fried gnocchi were fluffy pillows with great flavour. The pesto sauce was nice and garlicky. Sweet corn kernels provided bursts of sweetness. And there were two kinds of cheeses: creamy and salty goast's curd and umami-filled parmesan. I do love a bowl of fruit salad with a rich custard poured over the top. The peach and nectarine gratin with blueberries was exactly that. The tartness of the raspberry sorbet was the perfect companion with the sweet, gratinated custard. Who doesn't love profiteroles? Deliciousness abounds in this dessert! 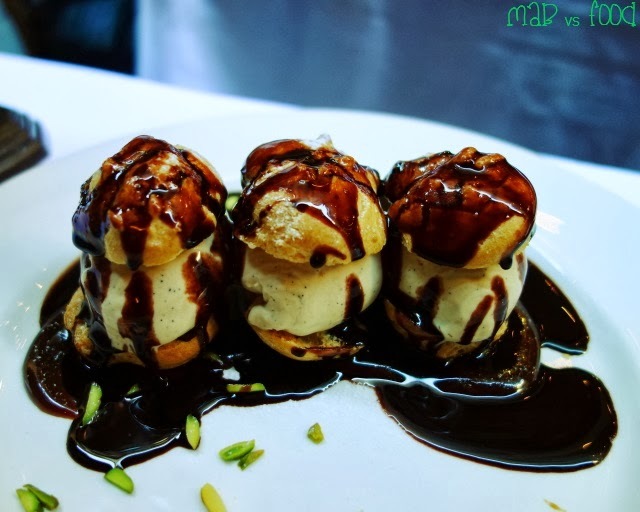 Scoops of vanilla ice cream sandwiched between profiteroles served with an amazing salted caramel, chopped pistachios and drenched in hot chocolate sauce is my idea of the ultimate comfort dessert! Highlight: Chicken liver pate at Felix is one of the better pates I have had in Sydney. Lowlight: Having to ask for the prix fixe menu despite coming in before 6pm.